Creve Coeur Camera was founded in 1974 in the St. Louis suburb of Creve Coeur. A small camera store had gone out of business, and customers had contacted the building owner, Ron Henges, for help in retrieving their photo finishing and repaired cameras. Mr. Henges was able to help them, and many customers recommended he re-open the store because the area really needed one. Due to the advent of easy-to-use 35mm cameras at that time, sales boomed and topped $1,000,000 in the second year of operation. The original store has moved several times as business grew. The current flagship and newest location in Creve Coeur consists of 12,000 square feet of selling area, classrooms and a camera demo area. It also includes a full service centralized lab consisting of over 5000 square feet of state of the art printing equipment. As the photographic industry keeps changing Creve Coeur Camera has recently introduced a new department in our stores called The Print Factory. The Print Factory is the fastest way to get printing done for your business or personal use. This department specializes in a variety of printing services using our current lab equipment. Customers can rely on the professional staff at Creve Coeur Camera for many products such as business cards, signs, banners, copies, promotional items, vinyl signs, posters, calendars, business letterhead and more. The company has plans on opening up 4 additional BCX departments within the year. Creve Coeur Camera is now owned by Stephen Weiss. Mr. Weiss, a graduate of St. Louis University with a Bachelor of Science in Business Administration, purchased the company in 1998. He comes from an extensive background in retail, photography, and marketing. Mr. Weiss has brought a lot of excitement to the company. He is truly invested in providing exceptional customer service, and is a visionary in the photographic industry. He has been a member of the Board of Directors of the PRO Organization and currently serves on the National Retailers Committee of the Photo Marketing Association Board as well as being a member of the Board of Directors for a local ACE Hardware chain. In addition to his daily work in the retail side of the camera business, Mr. Weiss is the Photographer for the St. Louis County Hazmat team and has extensive experience as one of Gateway International Raceway’s track photographers specializing in NASCAR and NHRA races. Customers can count on Mr. Weiss for continued progress and innovations in bringing them the best mix of customer service, quality production from our labs, and exciting products in our full line of photographic merchandise. Stephen Weiss and Creve Coeur Camera are committed to customer service. Store managers and assistants are encouraged to solve most problems at the store level and have a variety of tools to help them, such as a courier service to help customers who need an item or photo finishing immediately. Training is constant, with monthly sessions and ongoing communication from the corporate office on new products and services. Other customer services include repair service, rentals, and classes, both free and fee based. 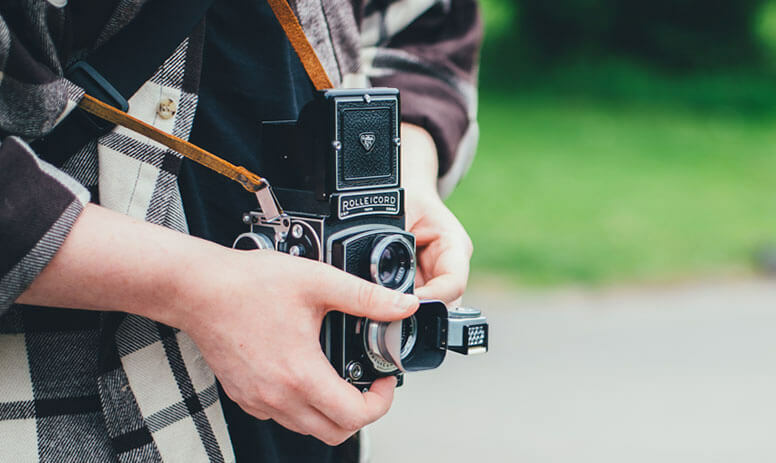 Creve Coeur Camera is dedicated to helping our customers preserve their memories with the finest images possible. We offer the best equipment, photo processing and consumer education, combined with the best customer service, to “make it happen” each and every day.